There will be times when you walk into a room and no one there is quite like you. There are many reasons to feel different. Maybe it's how you look or talk, or where you're from; maybe it's what you eat, or something just as random. It's not easy to take those first steps into a place where nobody really knows you yet, but somehow you do it. 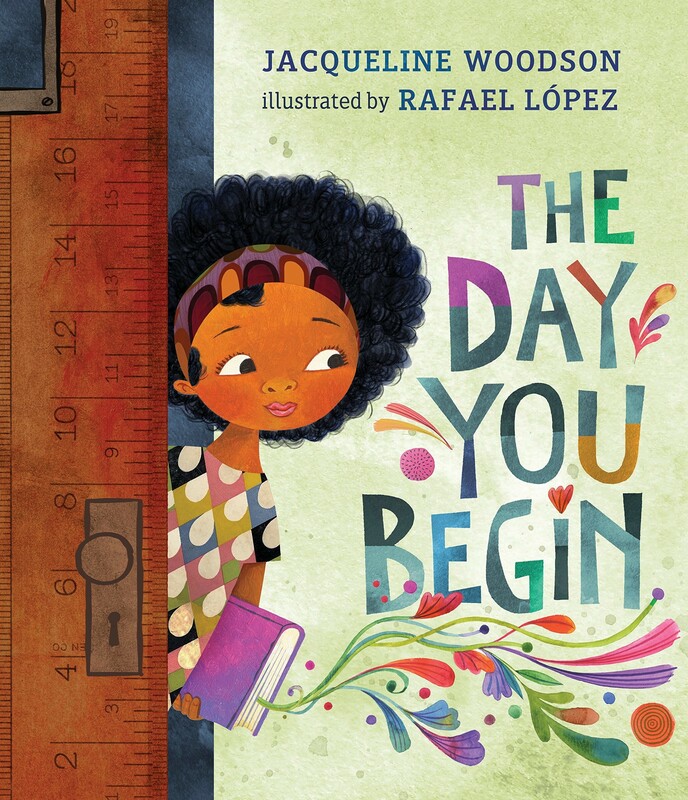 National Book Award winner Jacqueline Woodson lyrical text and two-time Pura Belpré Illustrator Award winner Rafael López's dazzling art reminds us that we all feel like outsiders sometimes — and how brave it is that we go forth anyway. And that sometimes, when we reach out and begin to share our stories, others will be happy to meet us halfway. This uplifting and poignant picture book celebrates finding the courage it takes to go out into a world where you feel strange, and the acceptance and friendship you can find if you do.